Should you follow the experts’ recommendations? But this critique is mainly addressed at Wall Street, the place where morale and ethics are put to rest. What about Denmark? 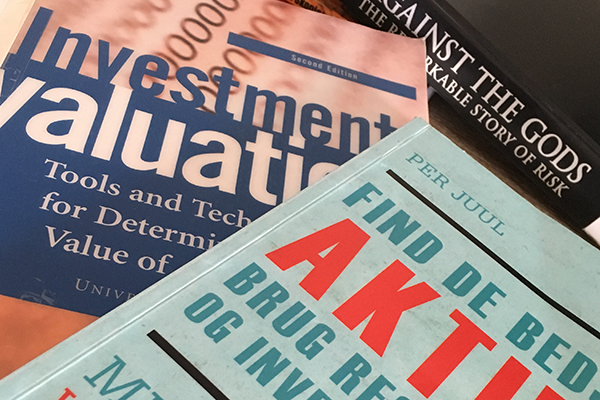 An analysis of Sydbank’s (a Danish bank) stock recommendations from 2012-2016 indicates that the market is difficult to beat, and coincidences define whether the banks (and thus their followings) can beat the market. In the case of Sydbank, the following would have been better off with an index strategy. Numerous books claim that one should never trust the so-called ‘experts’ when it comes to stock recommendations. “They don’t know jack more than us mere mortals”, goes the criticism. Can this be true? Shouldn’t the person whose job it is to analyze stocks 40 hours a week not know more than the common man? And if they do know more, shouldn’t they have an edge and thus be able to beat the market? 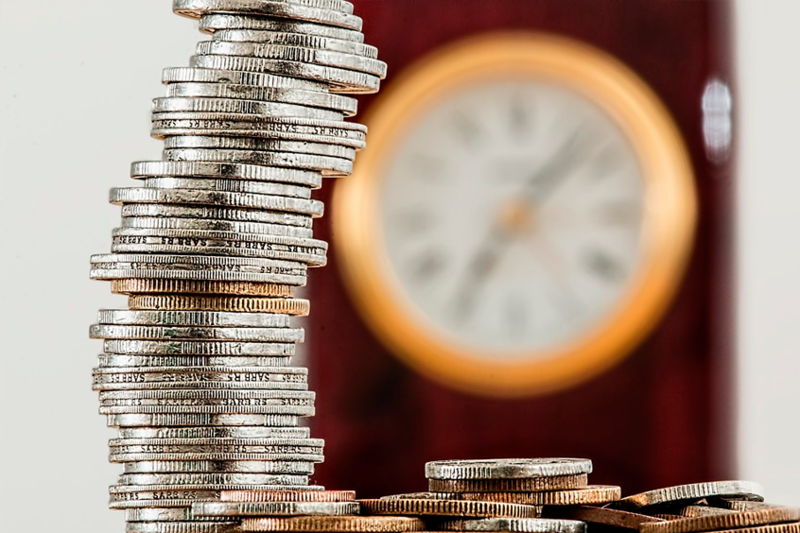 This post dives into the criticism, and your’s truly analyses a handful of years’ results by taking a point of departure in Sydbank’s buy, hold and sell recommendations. In Contrarian Investment Strategies, David Dreman claims that a blindfolded, margarita drinking chimpanzee can out-compete your portfolio manager by simply throwing darts at a stock list. He proves that these ‘experts’ always buy at market peaks, and sell at market bottoms; the exact opposite of the good ol’ dogma “buy low, sell high.” In fact, according to David these analysts are often perfectly wrong. Namely, the exact opposite of their prophecies are often what occurs. Nassim Taleb is another critic of Wall Street who labels these analysts and experts “empty suits” in his book The Black Swan. Nassim argues that their job is to create recommendations, make predictions and project trends. That’s what they’re paid to do, all in an effort to generate buy and sell orders so that their employers pocket a commission. There is a recurring critique of the entire system, which these individuals are ‘trapped’ within. David explains in aforementioned book that analysts’ bonuses are based on how many buy recommendations they produce, and the amount of buy/sell orders these generate. Furthermore, analysts are often blacklisted from receiving information from companies that they have granted a sell recommendation. Hence, in order not to be excluded, the analysts don’t dare not to put a buy recommendation on the majority of securities. That’s why there are 7 times as many buy recommendations as there are sell recommendations on average. Finally, it’s worth mentioning that analysts are often called sizzies. They usually don’t dare to expound an opinion that goes against the consensus due to the career risk it poses. If they merely swim with the current and make a lousy prediction, his or her colleagues did so too. Hence, his or her behind is not placed extraordinarily in the smack-zone – everybody was wrong, everybody wins (except the ones who took their advice)! Aforementioned books are written by Americans. I am pretty confident that Denmark’s financial institutions are poles apart from Wall Street’s unscrupulous and morally questionable behavior. But are my fellow country men any better at predicting the future? Should we follow their recommendations? 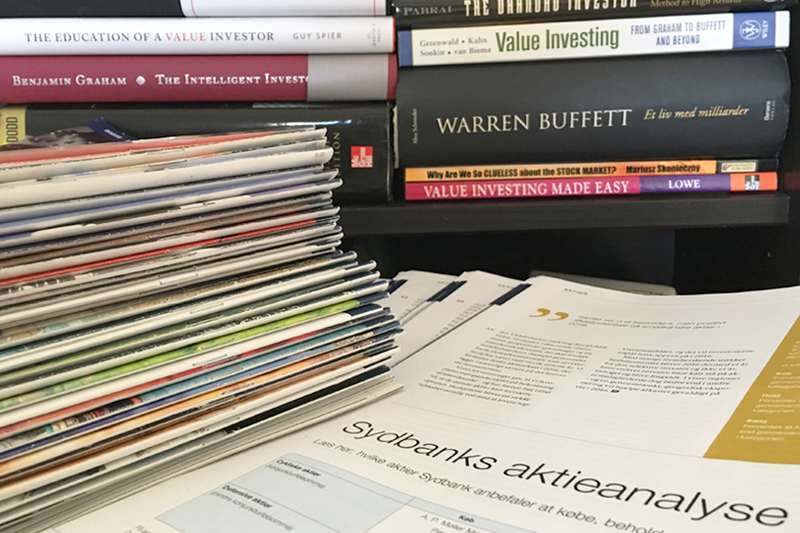 To answer those questions, I have dived into a handful of publications of Sydbank’s monthly magazine. I listed all the stocks Sydbank recommended each December between 2012-2015, and then tracked their performance the subsequent 12 months. As all stocks are listed in Denmark despite Hennes & Mauritz (H&M), I used the Danish OMXC20 index as a benchmark to track performance. Imagine four investors: one index investor in OMXC20, and three other gents who followed a given strategy where one blindly acquired Sydbank’s recommendations within a given category (either buy, hold or sell). They are all handed 100,000 kr. on January 1st, 2013. Our four investors re-balance their portfolios ‘mechanically’ each year based on the latest December-recommendations. They place an equal amount of coins in each security, hence allowing us to use the average increase/decrease to compound our initial 100,000 kr. capital with. Think, who do you think will stand victorious on January 1st, 2017? Had you invested 100,000 kr. in the market on January 1st, 2013, your net worth would be 195,191 kr. That’s nearly twice as much – not too shabby (especially since this strategy demanded one trade, hence one commission). If we, however, disregard the banks and Uncle Sam’s piece of the pie, the buy recommendation investor would follow suit with 193,438 kr. Interestingly enough, our sell-guy wouldn’t be all that jealous, as he pocketed a measly 5,628 kr. less. Both of them would be envious to learn that our hold investor stand triumphant with a royal sum of 314,886 kr. It’s difficult to beat the market, immensely so. 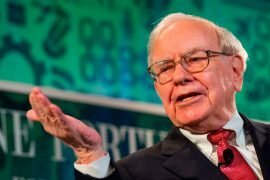 Even Warren Buffett – the master of stock picking – recommends the common folk to invest in indexes. The above exercise cemented that recommendation. True, you would ‘only’ have been 2,500 kr. worse off (in our ideal tax-free, zero-commission paradise) by following Sydbank’s buy recommendations. Yet, imagine all the stress that goes with underperforming the market: the annual rebalancing, the tax affairs, the mental stress of seeing your individual stocks swing wildly. Is it really worth the hazzle? “Yes!” is my naïve answer. I’m one of those fools who attempts to pick individual stocks. Yet, it’s not done by following the banks or experts’ recommendations. My Excel-exercise above underscores why. 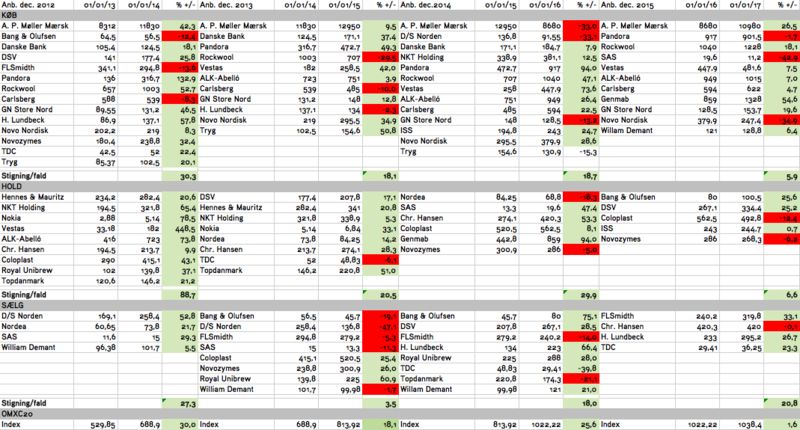 Since Sydbank’s analysts have to categorize each stock as something, the results will be somewhat random. It’s quite difficult to predict the future for one business, but attempting to do so for an entire index? That’s simply impossible (not banks probably have experts within each industry). This ‘arbitrariness’ comes to show when considering Vestas’ performance in 2013. If you had removed this stock’s 2013 rally of 448.5% from the study, the hold investor would have pocketed 239,778 rather than 314,886 kr. He would have still come out on top, but his net worth would have been reduced substantially due to one stock’s performance. Similarly, had Sydbank labelled Vestas a buy in 2013, Sydbank could triumphantly say that their recommendations have outperformed the market over the past half decade. Now, that’s a great publication relations piece. If one were to boil down these lessons to one key take-away? I’d say that beating the market is difficult; doing so by following others’ recommendations is virtually impossible.